Extensive set of features and ratings to meet Commercial and Industrial applications. Available from 100 amp – 1200 amp single and 3 phase 600 volt. 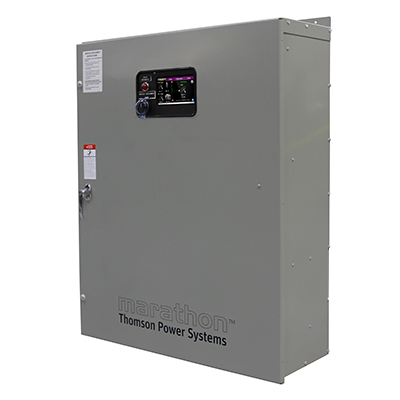 Options include Service Entrance Rated, Manual operation and Nema 3R Enclosure. fully enclosed silver alloy contacts provide high withstand rating & 100% continuous current rating. completely separate utility and generator side power switching units. 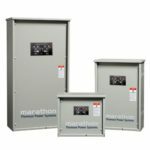 power switching units can incorporate over current protection, allowing cost savings in upstream devices. not damaged if manually switched while in service. heavy duty brushless gearmotor and operating mechanism provide mechanical interlocking and extreme long life. safe manual operation permits operation under adverse conditions. all mechanical and control devices are visible and readily accessible. all control wires and power busses are front-accessible. isolation plug permits disconnecting control circuits from all power sources.